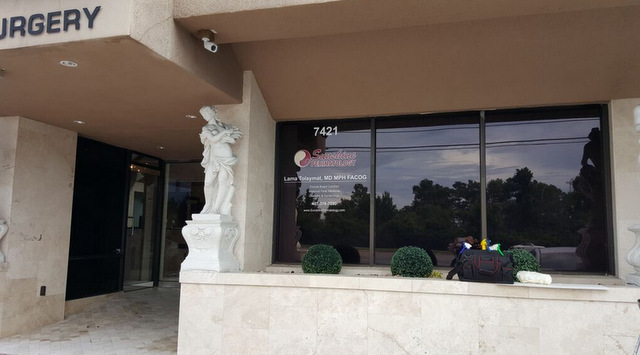 Sunshine Perinatology Welcomes with Vinyl Window Graphics in Orlando! When you expand and open up a new location, there are several factors to take into consideration. You need to find the right place for your organization, you need to remodel the venue to fit your needs, you have to purchase equipment, and so on. Signage is also important so clients new and old can find you. 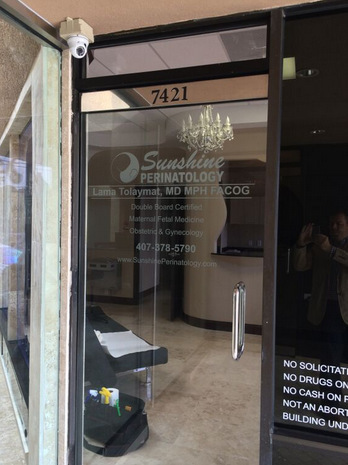 Sunshine Perinatology realized this, so they contacted the friendly experts at Citrus Sign Studio for window and door graphics for Orlando. Patients in need of a high risk obstetrician specialist, maternal fetal medicine, or a perinatologist go to Sunshine Perinatology. They are primarily focused on helping mothers and fetuses that are at high risk for complications. In order to ensure the successful birth of these babies, a perinatologist is trained to perform complex procedures and make complicated diagnoses. Dr. Lama Tolaymat, or Dr. LT for short, is the head perinatologist at Sunshine Perinatology and has been in the field for more than fourteen years. When an organization that provides such an important service to Orlando families came to us for window graphics for doctor’s offices in Orlando, we were more than happy to help out. Dr. LT already had locations in Daytona Beach and Davenport, but now, she was opening up a practice on Conroy Windermere Road in Orlando and wanted us to outfit the new place with affordable signage. As you can see from the before pictures, the new venue didn’t stand out and meet code requirements without any identifying markings. There were just some peeling vinyl numbers displaying the address. 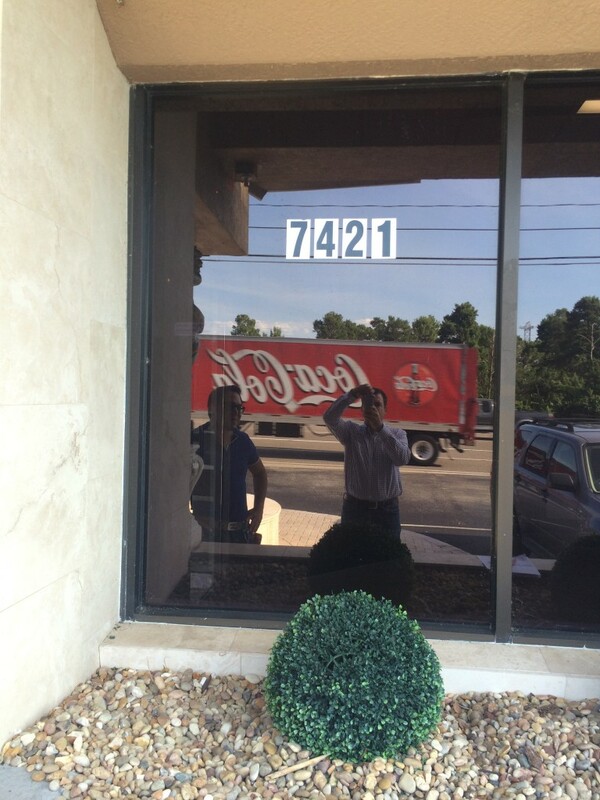 To remedy this, we designed vinyl graphics that incorporated Sunshine Perinatology’s already existing logo. For the front window, we used full color graphics and included Dr. Tolaymat’s name and credentials as well as the clinic’s contact information. We incorporated the same elements into the frosted vinyl door graphics. In the end, we had another satisfied client. Vinyl window cling is an excellent solution if you have a giant plate glass window. Your storefront will become a giant billboard while still allowing you to see out and letting natural light in. 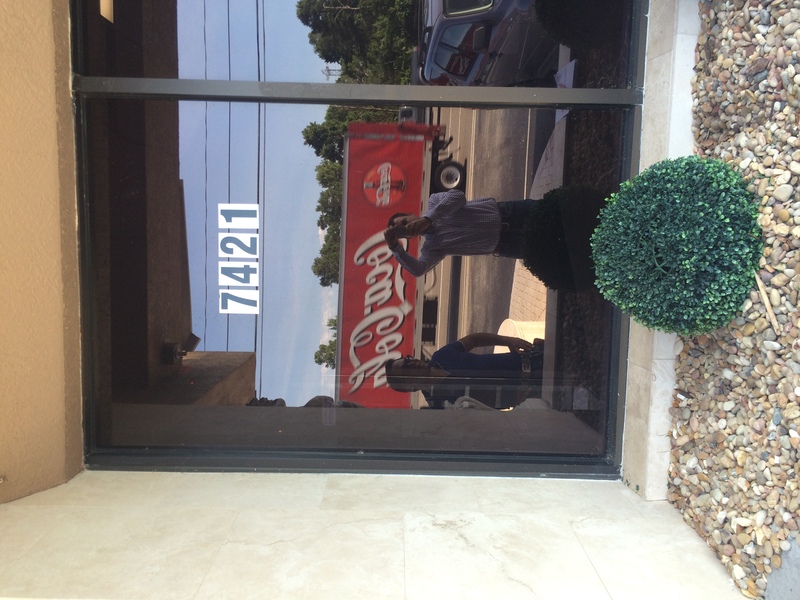 Are you ready to install window graphics in your venue? If so, contact Citrus Sign Studio today for a free consultation!